Prospect New Orleans is a citywide triennial of contemporary art now in its fourth iteration. This year’s installment, entitled “Prospect.4: The Lotus in Spite of the Swamp”, will feature 73 local, national, and international artists presenting their work across 17 venues, as well as exhibitions and events at numerous satellite locations. Emphasizing collaborative partnerships, Prospect presents the work of diverse local, national, and international artists in unique and culturally exceptional venues, creating an optimistic cartography through the education and engagement of residents and visitors. 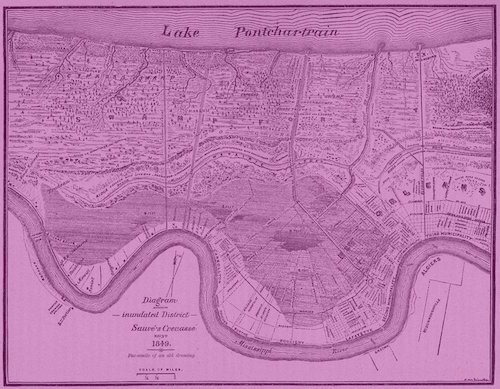 Prospect.4 (or P.4) will open to the public on Saturday, November 18 and run through February 25, 2018, aligning with the Tricentennial celebration for the City of New Orleans. P.4 will host Preview Days on Thursday and Friday, November 16-17 with the Opening Gala scheduled for Friday evening, November 17. According to P.4 organizers, this iteration will continue the Prospect tradition of showcasing the work of artists from around the globe. Taking into consideration the 300th anniversary of the city’s founding and its strategic location on the Gulf of Mexico, P.4 will direct its focus southward, placing greater emphasis on art and artists that engage the Global South, specifically from North America, Latin America, the Caribbean, Africa, and the European powers that colonized this region. The YAYA Arts Center will host an opening reception for Orenda, an exhibition of YAYA Alumni Artwork as part of the P.S. Satellite Program. The reception will be on Saturday, November 18 from 6 to 9 p.m. the center, located at the corner of LaSalle St. and Louisiana Ave. 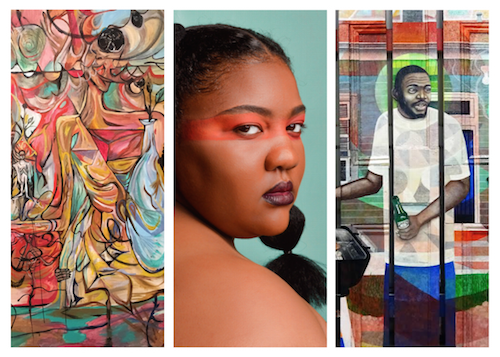 The opening reception will feature live painting by Gerard Caliste and a performance by Quinton Hakeem. The YAYA Arts Center and Orenda exhibition will be open from 10 a.m. to 6 p.m. Monday to Friday, 12 p.m. to 4 p.m. on Saturdays from November 16, 2017 to February 25, 2018. 2200 Oretha Castle Haley Blvd. Tuesday – Saturday, 10 a.m.
Monday – Wednesday, 4 p.m. – 9:30 p.m. and Tuesday – Sunday, 11 a.m. – 9:30 p.m.
Open Daily, 10 a.m. – 5 p.m.
Wednesday – Sunday, 12 p.m. – 5 p.m.
For more about Prospect.4 and Prospect New Orleans, visit their website here.